JpGU meeting is the biggest joint meeting in Japan among 48 academic societies for geoscience, planetary science and space science. 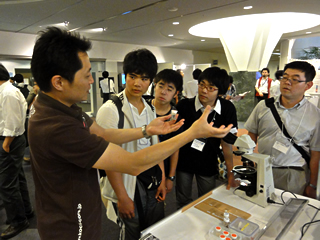 KCC had an exhibition booth at the JpGU meeting same as last year. 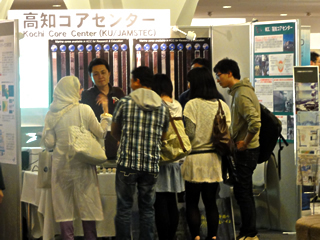 The theme for this year was "What's a Core", core surface images and core replica were shown at the booth.